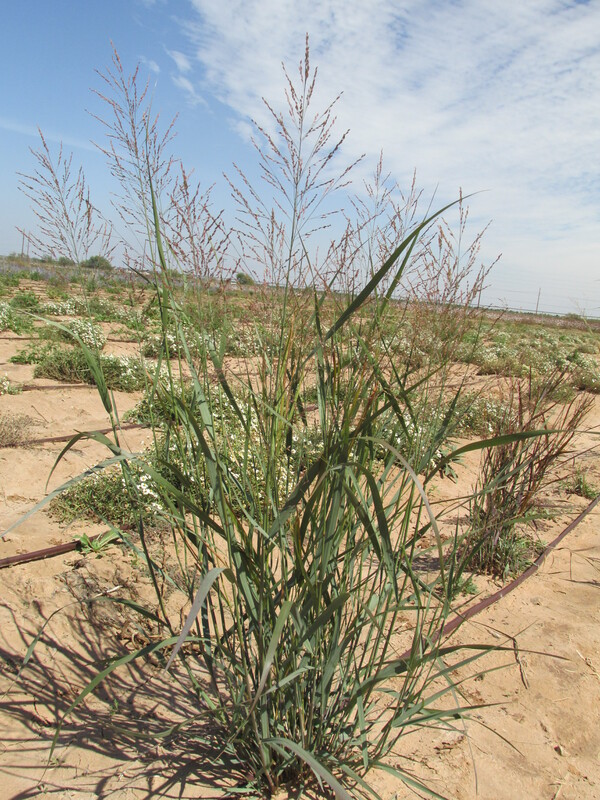 The grass trials were planted at the TTU experimental farm during the July of 2012. The trial was planted as a randomized block design consistent with 4 blocks in keeping with the other participating locations in the trial. 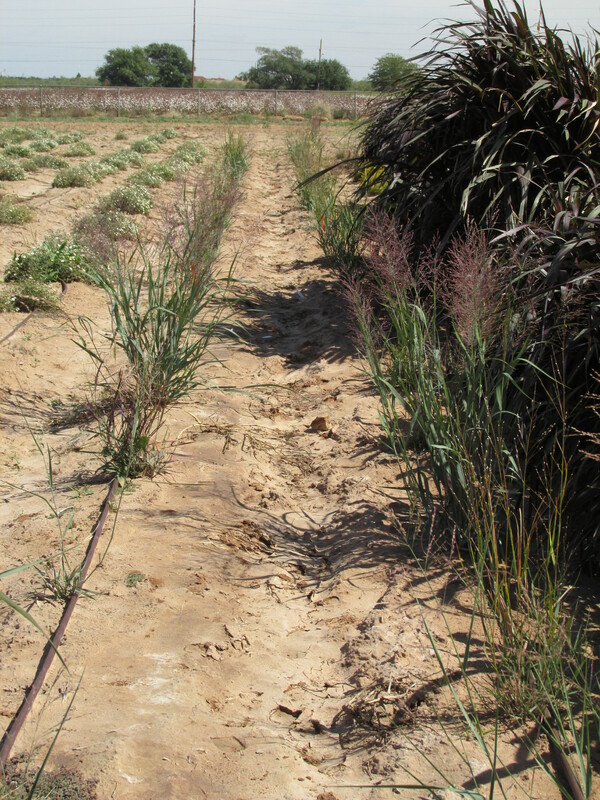 This area has been used for the past 8 years as a trial site, so there was a Napier grass buffer already in place which blocked the prevailing winds assisting with transplant establishment. Four repetitions of each cultivar were planted in full sun and rainfall was supplemented with drip irrigation. The average annual rainfall this portion of the South Plains is 18”; however, during 2011 and 2012 the rainfall was 5″ and 10″ respectively resulting in an extremely dry soil profile requiring frequent supplemental irrigation. The experimental farm has an Amarillo fine sandy load soil with a pH of 8.2. 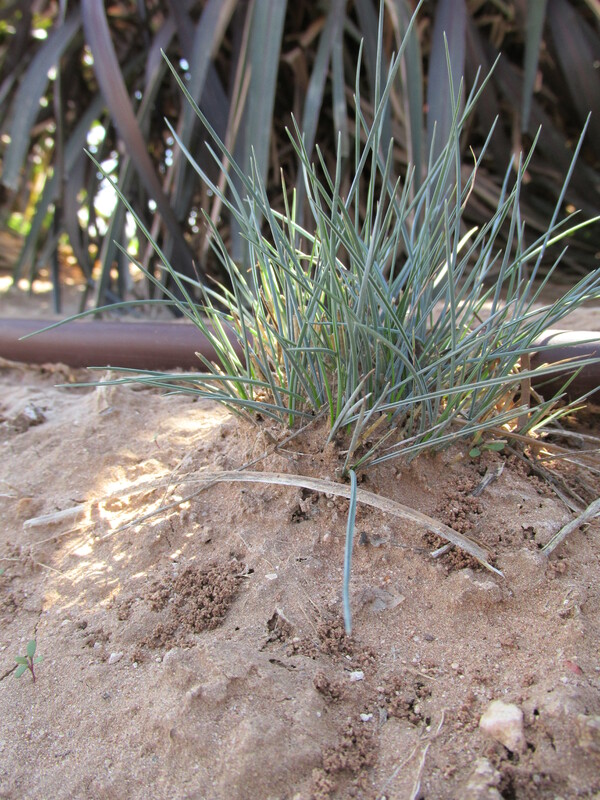 After transplanting, one replicate of “Hot Rod” died before August. After a long dry winter, no further plants were lost.